Acne & Acne scars are the most common skin ailments present through out the population. It's not just teens who get acne & the ugly acne scars; it turns out that one-third of all adult women and one-quarter of adult men also suffer from acne. Adult acne can be caused by hormonal disruptions or by genetically oily skin with a tendency to break out. Whatever the cause, and whatever your age, no one has to accept these skin problems as inevitable. Technique: 1) Acne treatment facials: Our specialized acne treatment sessions include deeppore cleansing, enzyme exfoliation, extractions, clinical-strength glycolic or salicylic peels, high-frequency treatment for disinfection, and a soothing antiseptic mask. Your treatment concludes with deep hydration to promote rapid healing. 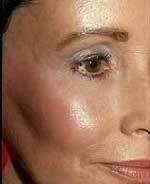 2) Microdermabrasion for acne treatments. We also offer microdermabrasion that can benefit our patients with acne by reducing blackheads and whiteheads. By gently abrading the skin with ultra-fine aluminum oxide crystal particulate, microdermabrasion can also reduce unwanted pigmentary changes that acne may cause. 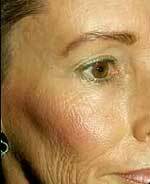 The result is a brighter, clearer complexion with very little redness and no down time and anaesthesia. Complements: Specialized skin treatments for the betterment of the skin. Results: Can be seen immediately, Mild reddening for 2-7 days. Subsides completely within a week. A few sittings may be required depending individually.